My name is Eric Farbman. I have included the two photos so that my Scout friends can see what I look like professionally, and my non-Scout friends can see what I look like when I'm volunteering. 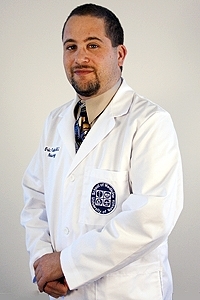 In my "civilian" life I am a neurologist at the University of Nevada School of Medicine in Las Vegas where I specialize in Parkinson disease and other movement disorders (i.e. essential tremor, Huntington disease). In my Scouting life, I was active as a youth in the now merged Morris-Sussex Area Council and Allemakewink Lodge #54 where I earned my Eagle scout and was awarded the Vigil Honor in the Order of the Arrow (OA). I am now an adult volunteer with the Las Vegas Area Council and Nebagamon Lodge #312. 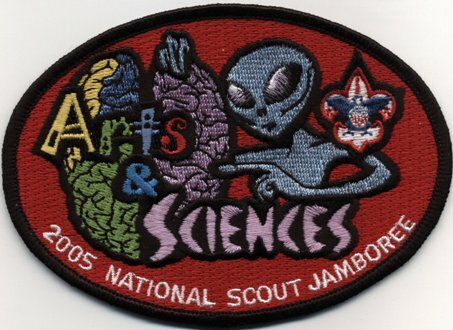 In Scouting, I have served on medical staff at every National Order of the Arrow Conference (NOAC) from 1996 - 2012. I started out on staff as an EMT, and now I am one of the physicians. Within the OA I have also served on medical staff for the 2007 National Conservation Leadership Summit and the 2011 Indian Summer. In 2008 during ArrowCorps5, I was the medical director of the Manti-La Sal site and lead physician at the Shasta-Trinity site. I also served as medical director for the second week of the 2011 SummitCorps. 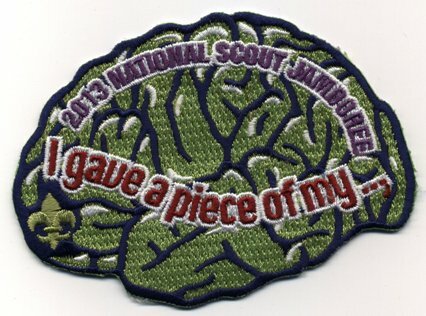 I will be on medical staff at the 2013 National Jamboree. As a neurologist, I am interested in any memorabilia relating to the brain, spinal cord, and other anatomy related to neurology. I have the five patches shown, but if anybody knows of any other issues, I would be interested in knowing about them (and acquiring them). 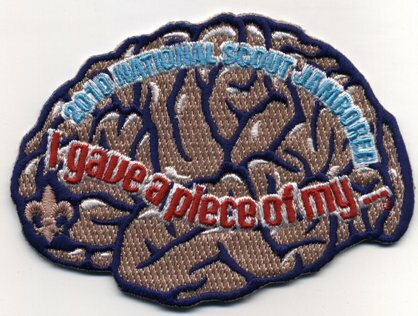 Incidentally, the second row middle badge is a spoof merit badge from Chris Jensen--brain surgery. 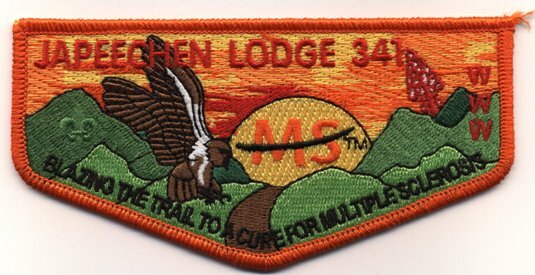 The flap on the bottom row was issued by Japeechen Lodge #341 out of New Jersey to raise money and awareness for one of the more chronic neurological diseases, multiple sclerosis. This is an autoimmune disease that attacks the white matter of the central nervous system--the brain and spinal cord. I hope you enjoy my little corner of the web. I have created this website to showcase medical service in Scouting. Please contact me if you have any comments, criticisms, information, scans, or trade offers. Thanks for coming by!